Expect a different level of plumbing experience with a qualified plumber in Huntington Beach, CA. Here at OC Plumbing Pros, our plumbers are equipped with the right skills to perform any plumbing job competently. Because this saves us time, money, and effort, too, we are able to reduce our service rates to a level that is comfortable to you as well as to us. Call us for plumbing repair or to perform general cleaning, and expect our Huntington Beach plumber to be right over in one hour. Our personnel comes fully prepared with everything that may be needed for the repair or installation job, including spare parts, so no time is wasted to get things done. Rest assured that when we come over, we already have with us all the necessary tools and spare parts so we will not have to rush back and forth for anything else. Call us 24/7 at (949) 371-8413. Affordable Installation and Repair of Water Heaters: It is never a laughing matter when your water heater breaks down, especially when you have not even finished your bath yet! Yes, you will spend money but it will likely not cost the same amount that is in your mind right now. If the repair is minor, however, the amount would be far less than that. Nevertheless, before you start shopping for a new unit, have our team over to check if repairs can still be done or if purchasing a unit is imminent. Maintaining Your Drains to Avoid Bigger Repairs: Homeowners tend to overlook the importance of clean drains, until water backflows, refuses to go down the drain, or if at all, is slow to do so. Not only is this an eyesore, it is also unsanitary. So many times, they call us when there’s already a backflow or if the drain is already clogged. This means we can localize the repair, and don’t have to replace all your pipes. Detecting and Repairing Hard-to-Find leaks: Not all leaks, slab leaks, especially, are easy to find in your Huntington Beach home, but our experts know a leak when they see them, even if you do not, and we repair it too. Even small leaks can create big problems and losses in money. If you feel that you consumed the same amount of water, there’s a leaky pipe somewhere. When you experience a sudden increase in your water bills, and as far as you know your water consumption is the roughly the same as last month, chances are, there is a leak somewhere. Homeowners, however, should suspect something when there’s sudden spike in their monthly water bill when the amount of consumption remains the same. Emergency Plumber Huntington Beach – Call Us Now! We Will Handle Your Re-piping or Pipe installation Needs: Building code requirements in Huntington Beach mandate that you hire licensed professional plumbers to lay down the pipes in your house or office. We also have applied for permits and licenses to operate, with the tacit arrangement to be subjected to regulations and oversight from the government. Look no further than our company, then, and receive expert advice on the best thing to do when your unit is in trouble. Our technicians did complete the necessary training to secure their license. Never, ever try to do this on your own. It’s a complex system of gravity, water pressure and flow. Hassle-Free Toilet Installations and Repairs: Take confidence in our team because we have the capability to deal with your “toilet” situation immediately, no matter how bad it looks. Just give us a service call, and immediately, our plumbers will come right over to inspect the toilet’s condition and fix it, if rendered practicable; otherwise, we will be honest in telling you to simply get a brand new toilet. We at OC Plumbing Pros always strive to be as less intrusive as possible. 24/7 Hotline at OC Plumbing Pros is Always Open to Serve You: You can call us 24 hours a day, seven days a week. Every call is processed right away although the estimated arrival time will depend on traffic and distance, of course. Just like in hospitals, emergency cases will be treated accordingly. Plumbing issues can affect your daily activities, and, when not fixed right away, they can have unfortunate effects not just on your property, but on your health, too. 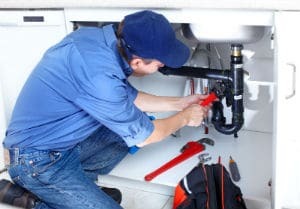 Connect With Our Huntington Beach Plumbers Today! Call our plumbing contractors today and see why we are the best choice near you. Our plumbers go the extra mile in providing helpful advice regarding routine plumbing maintenance to ensure your system is at its most efficient state. All our technicians are trained on customer service so they can explain to you in layman’s terms the options available for you. Call us and let us tell you more about our plumbing repair and installation services at OC Plumbing Pros. Call us today at (949) 371-8413!